If the city loop is Melbourne’s blood supply, Flinders Street Station is its heartbeat. It keeps the city alive with a constant stream of tourists, students, commuting suits and late-night revelers. Trying to cater for such a diverse crowd would be too much for some. Darran Smith grabbed the opportunity with both hands. 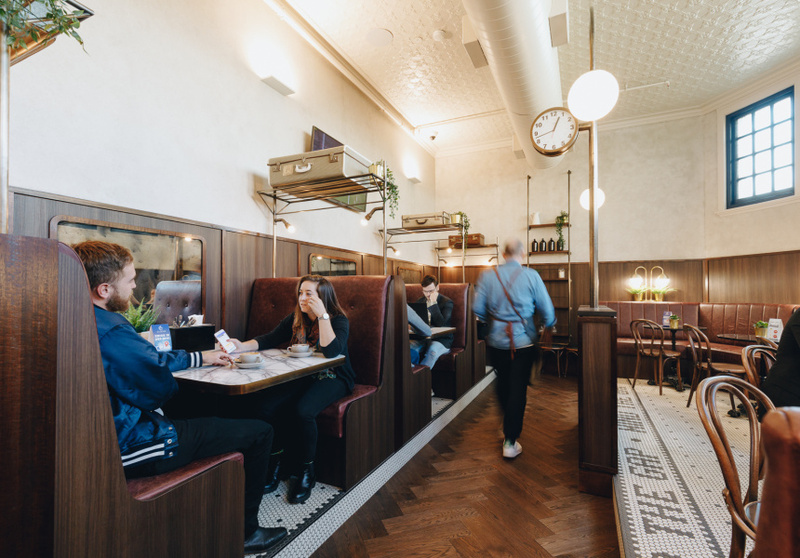 He’s rejuvenated Clocks at Flinders Street Station – a timeworn pokies venue – with Steve Schreuder, a former manager at the Open Door Pub Company. 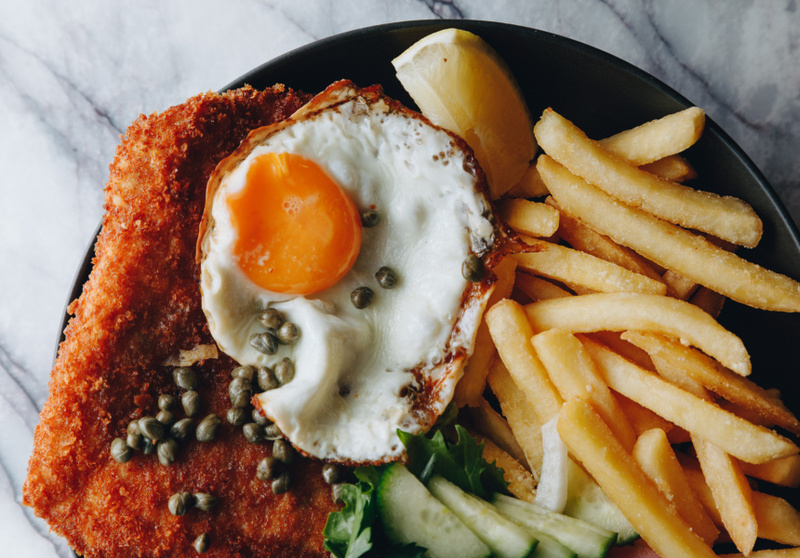 Green Light Diner is an all-day eatery where you can order a pancake stack for dinner; all-day breakfast starts early; and steaks, parmas and slow-cooked lamb ribs join the mix after 10am. All-day sandwiches on Brasserie Bread include the Good Morning (scrambled eggs, cheddar, bacon, jalapeno mayo), inspired by LA’s Eggslut. 5 & Dime salt-beef bagels are available until 1am on Friday and Saturday via a takeaway window. The interior has recreated the look of a 1920s train station. Elegant globe lights curl over dark leather couches and booth seating. Finishes are marble and brass. Downstairs is Miss Gun whisky bar. The bar at the back is also part of Clocks, one of two gaming venues owned by Doxa Social Club. The organisation uses the profits to help disadvantaged children in the community. The bar serves batched cocktails such as Negronis and Espresso Martinis. 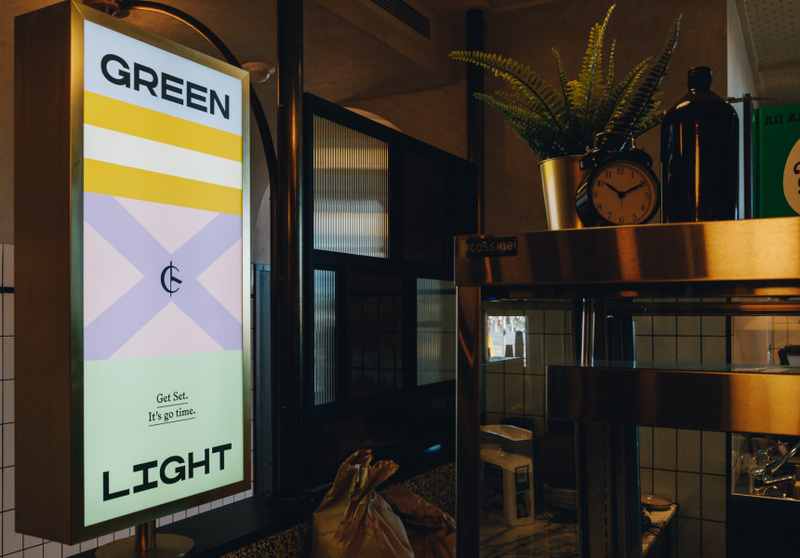 One Sunday per month, Green Light will also host Midnight Express, a catered get-together for hospo workers with a rotating chef. It’ll kick off at 12am and go until the wee hours (the venue is licensed until 4am).